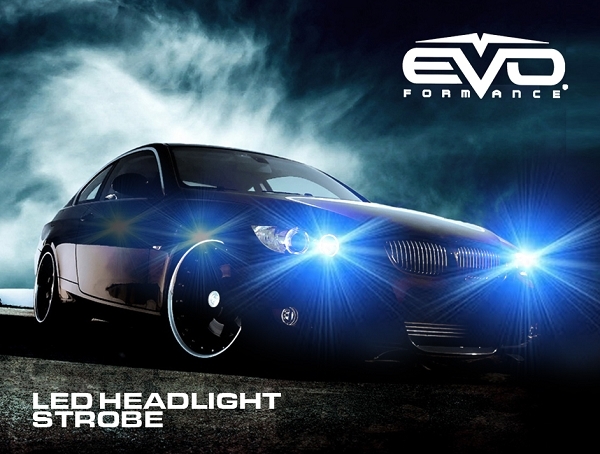 EVO's LED headlight strobes are brighter than your traditional strobes! With their huge 3 watt LEDs, they emit more than 180lm per bulb. 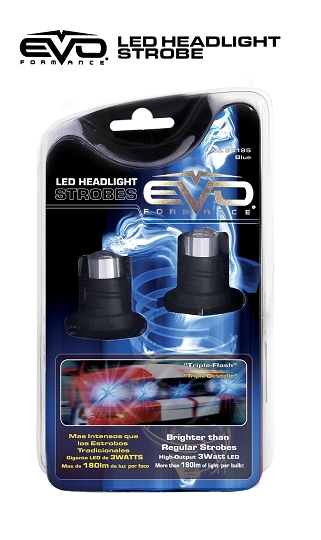 These bulbs use a special acrylic lens that focuses and amplifies the light. With the new base, you just twist into position. These bulbs blink in a fast, triple flash action. They are made with strong materials which makes them water and impact resistant. 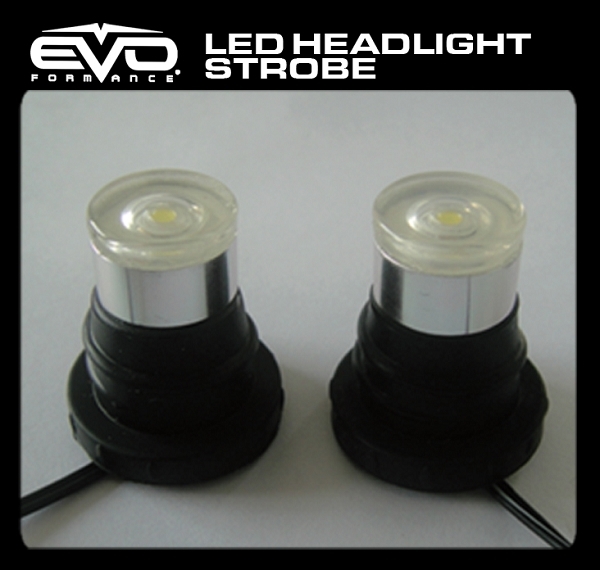 LED strobes are whiter, brighter, and last longer. Connect directly to the vehicle electrical system without transformers to a 12V connection.